Georgia Bio, the state’s life science trade association, celebrated its Annual Golden Helix Awards and 30th Anniversary on February 8 in Atlanta. 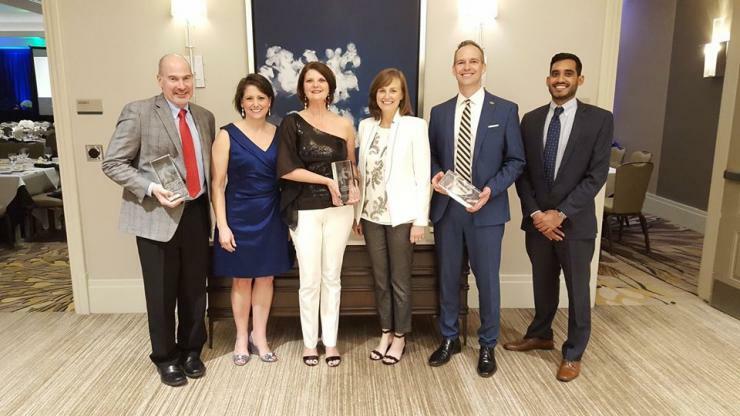 Among this year’s Innovation Award winners were GloShieldTM from Jackson Medical and a 3D-printed tracheal splint which has been placed in several pediatric patients. In the Community Award category, the Pediatric Technology Center (PTC) within Children’s Healthcare of Atlanta (Children’s) was among the winners. The Center is a partnership between Georgia Tech and Children’s. Faculty within the Wallace H. Coulter Department of Biomedical Engineering (BME) at Georgia Tech and Emory are closely associated with these award winning organizations and leading-edge healthcare technology. GloShieldTM, a product from Jackson Medical, is a new medical operating room solution that reduces the risk of fires and burns attributed to fiber-optic light cables. A fiber optic cable can reach temperatures of over 550° F. Using GloShieldTM to insulate the fiber optic like cable tip, the risk of fire is significantly reduced. Jackson Medical was founded by James Rains, CEO, and Kamil Makhnejia, COO. In the beginning, Makhnejia was a BME student at Georgia Tech while Rains was, and still is, a Coulter BME faculty member. Scott Hollister, BME professor, Patsy and Alan Dorris Chair in Pediatric Technology at Georgia Tech, and a researcher in the Petit Institute, along with a team of physicians at Children’s, were recognized for the state of Georgia’s first-ever procedure to place 3D-printed tracheal splints in a pediatric patient. A cross-functional team of Children’s surgeons used three custom-made splints, which biomedical engineers at the Georgia Tech helped create using an innovative and experimental 3D-printing technology, to assist the breathing of a 7-month-old patient battling life-threatening airway obstruction. “The possibility of using 3D printing technology to save the life of a child is our motivation in the lab every day,” said Hollister, who is also the director of the Center for 3D Medical Fabrication at Georgia Tech. The Pediatric Technology Center (PTC) within Children’s Healthcare of Atlanta won in the Community Awards category. The award is presented to individuals, companies or institutions whose contributions to Georgia’s life sciences community are worthy of special recognition. The Children's Healthcare of Atlanta Pediatric Technology Center brings clinical experts together with Georgia Tech scientists, and engineers, including many from the Coulter Department of Biomedical Engineering, to develop technological solutions to problems in the health and care of children. 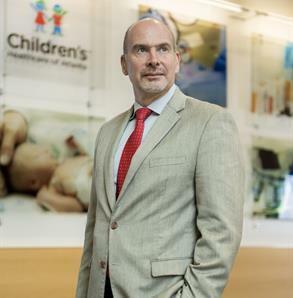 The Children's Healthcare of Atlanta Pediatric Technology Center provides opportunities for interdisciplinary collaboration in pediatrics, creating breakthrough discoveries that often can only be found at the intersection of multiple disciplines. James Rains, CEO of Jackson Medical and Coulter faculty member.